Samsung's lead lawyer in its patent trial with Apple has defended his decision to authorise the release of a statement containing evidence the judge had ruled inadmissible in court. John Quinn denied wrongdoing in a declaration filed with the California court saying the evidence was "previously in the public record". It included what Samsung says is proof the iPhone was inspired by "Sony style". Apple said it had "polluted the jury". 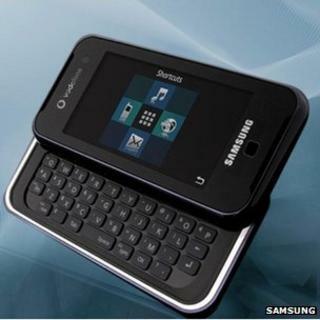 Samsung had hoped to present evidence in court that showed it had designed the F700 phone, which Apple alleges is a copy of the iPhone, in 2006 before the iPhone was announced. It also wanted to provide evidence that the iPhone itself was heavily inspired by Sony products. However, Judge Lucy Koh had said that these details should not be shown to the jury because they had been presented too late in the legal process. On Tuesday, Samsung's PR agency released what Mr Quinn calls a "brief statement", which was then expanded on at the request of members of the media, containing this evidence. A report from website The Verge said that the judge had become "livid" when Apple lawyers brought the press release to her attention. She had asked to know who had authorised the release, which prompted the statement from Mr Quinn. "Contrary to the representations Apple's counsel made to this court, Samsung did not issue a general press release and more importantly, did not violate any court order or any legal or ethical standards," Mr Quinn said in the statement. He said that the evidence had already appeared in dozens of media reports, including those from the New York Times, Huffington Post and CNET, prior to the jury selection. "These false representations by Apple's counsel publicly and unfairly called my personal reputation into question and have resulted in media reports likewise falsely impugning me personally." The trial is the latest legal tussle between the two smartphone giants with Apple seeking $2.5bn (£1.6bn) in damages, alleging that Samsung has infringed seven of its patents. South Korean firm Samsung has countered that with allegations of its own that Apple has infringed five of its patents, and is seeking an unspecified amount of its mobile revenues. The trial is due to resume on Friday.